Guess what? It’s not just girls that wanna have fun! The Hershey Harrisburg Region is the perfect place for the guys to be guys – offering everything from challenging paintball courses and a premier indoor speedway to a distillery for locally crafted spirits and one of America’s most popular craft breweries. Start your day at Autobahn Indoor Speedway where you can rev your engines and race like a pro! This state-of-the-art indoor kart racing experience will get your adrenaline pumping and give you the freedom and exhilaration of driving a high-performance kart up to 50 MPH on a Grand Prix-style track. You can fulfill your need for speed as you leave your friends in the dust. The last one to cross the finish line buys a round at the next stop! Brothers John and Chris Trogner founded Tröegs Independent Brewing in 1996. What started out as a modest complex in Harrisburg has grown into a national distribution operation with headquarters in Hershey. The facility in Hershey offers tours of its brew houses where you can peer into the tanks, scoop up a handful of hops, and watch them bottle their liquid gold. As you step inside the brewery, you&apos;re greeted with the aroma of hops that pleases the senses and leaves your mouth watering. In the tasting room, sample Tröegs&apos; flagship brews and ever-changing scratch beers for a try-it-now-or-never experience. Round out your experience with gourmet pub food from the snack bar that serves more than just munchies. Get ready for more sampling because the next stop is a local gem tucked along Cameron Street in Downtown Harrisburg. Midstate Distillery is Harrisburg&apos;s first distillery since Prohibition! 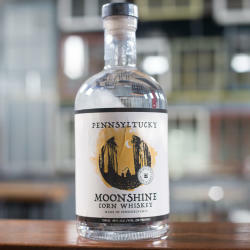 Using locally sourced ingredients, Midstate Distillery creates unique spirits including rum, vodka, bourbon, coffee liqueur, and moonshine. Stop by for a free tasting and tour of their facility, and of course a cocktail! The innovative small-batch liquors are also available for purchase by the bottle and make great souvenirs to enjoy at home! Show your friends your true (paintball) colors! 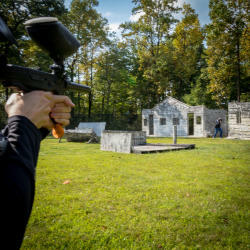 The paintball operation at Roundtop Mountain Resort is the largest and most varied in Central Pennsylvania, featuring 11 fields including a nod to the old west with wooden house-front cutouts, an urban field with concrete bunkers, a large wooded field, and other themed areas. Field equipment and camo clothing rental are available, and group reservations can be made outside of operating hours. A pavilion with a fire pit and grills provides the perfect spot for hanging out after the paintball battles. If you and your buds have called a truce, spend some non-competitive time together tackling the zip lines, navigating a maze, crossing rope bridges, and more! When you&apos;re arranging your day, why not let someone else chauffeur you around? Premiere #1 Limousine can provide transportation in one of their unique vehicles like a Hummer, Excursion, or Cadillac stretch limo. Relax and enjoy the ride! Your friends will thank you for setting up an unforgettable day where friendly rivalries are at the forefront, with the bonus of good eats and great drinks.